The defeat of AIPAC's ill-advised push for new sanctions on Iran in the midst of successful negotiations is nothing short of historic. The powerful and hawkish pro-Israeli lobby's defeats are rare and seldom public. But in the last year, it has suffered three major public setbacks, of which the sanctions defeat is the most important one. AIPAC's first defeat was over the nomination of Senator Chuck Hagel for Secretary of Defense. In spite of a major campaign defaming Hagel, even accusing him of anti-Semitism, his nomination won approval in the Senate. 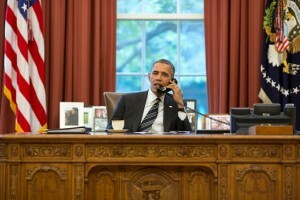 The second was over President Barack Obama's push for military action against Syria. AIPAC announced that it would send hundreds of citizen lobbyists to the Hill to help secure approval for authorization of the use of force. But AIPAC and Obama were met with stiff resistance. The American people quickly mobilized and ferociously opposed the idea of yet another war in the Middle East. By some accounts, AIPAC failed to secure the support of a single member of Congress. The third defeat was over new Iran sanctions. Now, AIPAC and the President were on opposite sides. The interim nuclear agreements from last November, explicitly stated that no new sanctions could be imposed. Yet, backed by Senators Mark Kirk, R-Illinois, and Robert Menendez, D-New Jersey, AIPAC pushed for new sanctions, arguing that it would enhance America's negotiating position. The White House strongly disagreed, fearing that new sanctions would cause the collapse of diplomacy and make America look like the intransigent party. The international coalition the President had carefully put together against Iran would fall apart, and the U.S. and Iran would once again find themselves on a path towards military confrontation. But AIPAC insisted. Its immense lobbying activities secured 59 cosponsors for the bill, including 16 Democrats. Its aim was first to reach over 60 co-sponsors to force the bill to the floor, and then more than 67 co-sponsors to make it veto proof. But 59 cosponsors turned it to be a magical ceiling AIPAC could not break through. Supporters of diplomacy put up an impressive defense of the negotiations policy, building both off of years of careful development of a pro-diplomacy constituency and coalition machinery as well as the grassroots muscle of more recent additions to the pro-diplomacy camp. The watershed moment came when the White House raised the temperature and called out the sanctions supporters for increasing the likelihood of war. "If certain members of Congress want the United States to take military action, they should be up front with the American public and say so," Bernadette Meehan, National Security Council spokeswoman, said in a statement. "Otherwise, it's not clear why any member of Congress would support a bill that possibly closes the door on diplomacy and makes it more likely that the United States will have to choose between military options or allowing Iran's nuclear program to proceed." The prospect of coming across as "warmongers" incensed AIPAC and its supporters. But the White House knew exactly what it was doing. It was tapping into the only force that could stop AIPAC -- the war wariness of the American public. The very same energy among the public that put a stop to the White House's war plans for Syria, would now be used to put a stop to AIPAC's efforts to sabotage the last best chance to avoid war with Iran. "Some of [AIPAC's] supporters claimed that it was meant to strengthen Obama's hand in the nuclear negotiations with Iran, when it was clear that they meant just the opposite: to weaken the President and to sabotage the talks. They couldn't speak this truth outright, so they surrounded it, as Churchill once said, with a bodyguard of lies." AIPAC finally threw in the towel on new sanctions last Thursday. The defeat was an undeniable fact. These three defeats show the importance of mobilization. Absent the work of the pro-diplomacy coalition, both the careful groundwork laid in the last few years as well as the intense mobilization in the last few weeks, it is not clear whether the White House could have won this fight -- or if they even would have tried. The NSC spokesperson's statement was clearly an attempt to activate the pro-democracy grassroots since their help was needed. But the defeats also show that the dominance of AIPAC has to a large extent depended on the absence of the American public. The majority of Americans has too many concerns and is too distracted to focus consistently on foreign policy matters, giving a small, but focused minority the ability to dominate these issues. Until, that is, the larger public wakes up and gets in the game. AIPAC, of course, remains an immensely powerful organization, but these recent defeats go beyond these specific issues. The real loss AIPAC has suffered is that the illusion of its invincibility has been shattered. Much of its power has lain in the (false) belief that it is invincible. This illusion provided AIPAC with tremendous deterrence -- convinced that they would lose, most groups simply did not bother to go up against AIPAC. Consequently, AIPAC won most of its battles on walk-over. That may change now.